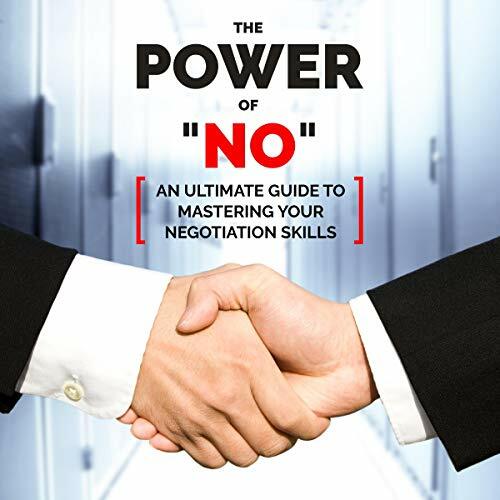 Here in The Power of No: An Ultimate Guide to Mastering Your Negotiating Skills, you’ll be taught that occasionally, saying no is necessary. It can present you with an incomparable sense of fulfillment and a compelling power to achieve just about anything you desire. Though it may seem like you’re closing a door instead of taking a step forward, daring to not trek a path you’re not 100 percent confident in is the wiser approach. If you have yet to grasp the matter, you can use this audiobook to help you. Do you always respond with a yes and gear up for a spur-of-the-moment challenge that comes along? Try to be honest with yourself and figure out whether or not you really agree with your decision. Or are you just giving your consent without really giving much thought to it? In life, if you want to earn as much advantage as you can, resolve differences, and succeed in almost all of your endeavors, sometimes you have to accept a no, together with the decision to turn your back on opportunities. Most of us associate the word with negativity. But there’s definitely more to it, and you’re about to find that out.